Everyone at our practice is committed to providing you with the very best in dental health care. Together our team brings a wealth of experience to the practice and maintains a commitment to professional development. This enables us to offer our patients an enviable choice of treatments from simple routine care and new porcelain crowns in one visit, to complex rehabilitations utilising our skills in placing crowns, bridges and implants. We had our CQC visit in September 2012 and had a glowing report. Mr. Sutton qualified in Birmingham in 1988. He came to Grantham to first work in general dental practice as an associate before starting The Dental Health Centre in August 1995. He worked in the Orthodontic department at Grantham Hospital for 7 years before leaving to concentrate on growing the Dental Health Centre into a centre of excellence. Since starting this practice he has strived to provide a service based on clinical excellence and has completed numerous advanced courses to help him in this aim. He studied with Paul Tipton to complete his advanced restorative theory and practical courses, and with Cemal Ucer to complete his dental implant training. Over a thousand dental implants have now been successfully placed by Mr. Sutton since he started providing dental implant treatments in 2000. 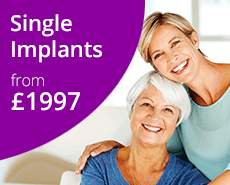 We currently have a dental implant success rate of over 99%. He is a highly experienced CEREC user and can provide advanced CEREC treatments including, Simple crowns, Implant crowns, simple bridges and smile make overs in a day. Simon qualified as a dentist at the University of Stellenbosch in South Africa in 1997, after which he moved to England, where he practiced in Nottingham for 9 years. He started out providing NHS dental services, and then moved into a private practice in Compton Acres, West Bridgford. In 2006, Simon went back to South Africa and worked there for 12 years. During this time, Simon also pursued his passion for training and lecturing, presenting training programmes for dental support staff all over the country as well as in Namibia and Botswana. In 2015, he obtained his Postgraduate Diploma in Endodontics (root canal treatment) and, in addition to his staff training programmes, also presented Endodontics lectures to dentists. Simon’s passions in dentistry cover all aspects of restorative and aesthetic dentistry and he has a special interest in Endodontics. Simon is a real people person and loves nothing more than meeting new people and engaging in conversation with them. Basically, he’s a chatterbox, you have been warned! In his spare time, Simon enjoys watching movies and all types of live sport, particularly rugby, football and motorsport. Mr. Brodie qualified in Newcastle in 1974 and is well known around the Grantham having worked in a large practice here for many years before setting up his own successful private practice. Mr Brodie is a very capable dentist with many years’ experience of providing single-visit CEREC restorations. He is also experienced in facial rejuvenation treatments such as Botox and fillers that help reduce wrinkles and the signs of ageing. Miss Lago Garcia joined our Grantham practice in June 2015. Having moved to England from Seville a number of years ago, she enjoys providing private dental care, with added interests in orthodontic and periodontal treatment. Elisa has taken over much of the NHS children’s orthodontic contract at the practice and has very quickly settled into life here at the Dental Health Centre. Out of work Elisa enjoys salsa dancing, cooking and spending time with her friends. Following the birth of her son in 2017, Elisa enjoys spending time with her family. Paula has worked here at the Dental Health Centre for 13 years and whilst she is practice manager now, her career began as a dental nurse. An interest in administration and management of a dental practice led Paula to achieve a BTEC qualification in Dental Practice Management before then going on to gain the ILM Level 5 in Dental Practice Management. As a rule you will usually meet her at the practice reception alongside Tracey, our receptionist. She is always happy to help answer any questions you may have about the practice, your individual treatments or any aspect of your visit here. Paula particularly enjoys discussing patient treatment plans. In her other role as treatment coordinator she takes pride in guiding and advising patients on the best possible treatments available to them. When not at work, Paula is at home with her son Jake, who is also a familiar face at the dental practice! Paula enjoys socialising, especially with the members of the team because not only are they work colleagues but great friends too. What a great team member. Before joining us Julie trained in the RAF, where she worked for 14 years. 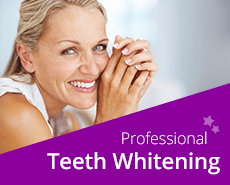 Julie has a lot of experience to offer the practice and is very dedicated to her profession. 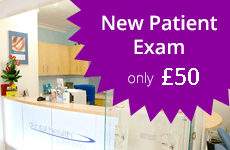 She has been with the Dental Health Centre now for over 8 years. Julie also under took further training at Bristol Dental School where she qualified as a dental therapist in 2011. This means she can also provide some of the treatments that only the dentists could do such as fillings and some extractions. Another great team member who has lots of experience and works with a caring understanding of patients’ needs. She joined the team in September 2005 and works on Tuesday and Wednesday. Tracey has worked at the Dental Health Centre for over thirteen years on reception. Sitting with her very good friend Paula everyday for so long hopefully makes the patients feel they have two friendly faces who make them feel welcome. Tracey says that she thoroughly enjoys her job and the people she works with. Over the years Tracey’s knowledge has grown, and she particularly enjoys helping patients decide which treatments , explaining and arranging Finance options, and coordinating our orthodontic waiting list. You will find that there isn’t much Tracey can’t help you with. Jess has been at the Dental Health Centre since January 2004. She works alongside principal dentist, Colin Sutton and with associate dentist Elisa Garcia. Jess enjoys the challenge of keeping the dental surgery clean by fulfilling stringent decontamination protocols and ensuring the surgery runs efficiently so patients have the best possible experience. In particular, Jess enjoys the variety of work that Colin undertakes from dental implants to fitting orthodontic braces it makes every day interesting! Outside of work Jess likes spending time with her young son and enjoys cooking and making cakes for friends and family. Precilla qualified in 2015 gaining her NVQ Level 3 in Dental Nursing. Since then she has gained her radiography qualification and is responsible for the quality control measures we have in place at the practice. Precilla enjoys working with Mr Sutton, enjoying his more complex treatments such as implants and root canal treatments. Outside of work Precilla enjoys horse riding, shopping, make up, spending time with her friends and travelling. More recently Precilla has purchased her first home. The youngest member of our team, Shannon joined the practice in July 2015 as an apprentice trainee dental nurse. Shannon very quickly settled into the working world works qualified in May 2017. Shannon is able to put her theory knowledge in place here and is enjoying her role very much. You will usually find Shannon with Julie the hygienist or working in the decontamination room. Shannon also enjoys working alongside Elisa providing general as well as orthodontic treatment. Shannon enjoys horse riding and spending time with her friends and family. Sophie joined our practice in April 2013 as a trainee dental nurse. She gained her NVQ Level 3 In Dental Nursing in 2015. Sophie enjoys working with our hygienist and the dentists but now spends most of her time working on reception. Sophie’s friendly and bubbly personality makes her perfect as the first contact patients may have with our practice. With her dental nursing knowledge Sophie can answer many of the questions patients may have and looks forward to meeting you. Out of work Sophie enjoys spending time with her family, shopping, socialising, and music. From April Sophie will be starting her maternity leave and is very much looking forward to becoming a Mummy for the first time. We are all Very excited for her. Leanne joined the practice in January 2017. Leanne qualified in 2010 and is an asset to our nursing team. Leanne enjoys putting the patients at ease and is always smiling. She generally works alongside Simon and together they enjoy delivering excellent patient care. Outside of work Leanne enjoys spending time with her family. Leanne is currently studying for her radiology qualification. Ellie has recently joined the practice as a Trainee Dental Nurse and Receptionist. Ellie will be studying towards the Diploma in Dental Nursing. Out of work she enjoys spending time with her family and friends, she loves to bake, going travelling, shopping and socialising.